Dos Lunas Tequila adds to stable of premium tequilas. El Paso, TX (PRWEB) August 7, 2007 -- With an impressive showing at the 7th Annual World Spirits Competition and increasing availability across the country, Dos Lunas Tequila will now launch new products in third and fourth quarter 2007 to join their successful Silver and Reposado Tequilas. Dos Lunas Anejo will be available beginning in September 2007 followed by Dos Lunas Grand Reserve, a limited edition “Extra Anejo,” due in November 2007. The most influential spirits industry professionals in the United States gathered at San Francisco’s Mandarin Oriental Hotel March 17th and 18th, 2007 to swirl, sniff, sip, spit and rank the world’s best spirits at the 7th annual San Francisco World Spirits Competition. From among a field of over 700 competitors, newcomer Dos Lunas took gold medals for both Dos Lunas Silver and Dos Lunas Reposado in the Packaging Design Awards category. “We sought to create the finest Tequila in the world and these awards are signs that we are well on our way,” said Richard Poe, Founder of the specialty tequila brand. One look behind the bar was all it took for Richard Poe to decide what his future would be. While on a trip to Telluride, Colorado, in 2005 he made a discovery that set a plan in motion. Returning to his home in El Paso, Texas, Poe set to make this observation into a reality. The first bottles of Poe’s Dos Lunas Tequila were released in June 2006. 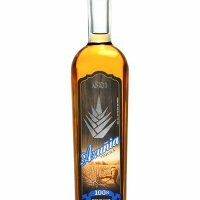 His initial offerings included Dos Lunas Silver Tequila made through a cold-filtering process and double distillation and the Dos Lunas Reposado that took the Silver process one step further through oak barrel aging for up to one year. Dos Lunas’ double-distilled, one hundred percent Weber Blue Agave Tequila uses only plants grown on the Zapotlanejo, Jalisco ranch in the heart of Mexico’s Tequila country. Dos Lunas Tequila is naturally one hundred percent chemical free, using the finest distillation process available. The natural yeast fermentation process, while more time consuming than the popular chemical fermentation process of other tequilas, adds considerably to the quality of Poe’s product. To celebrate the first full year of Dos Lunas on the market the brand will launch Dos Lunas Anejo. The Anejo will continue the premium quality Dos Lunas Tequila has come to embody. Dos Lunas Anejo, like its predecessors, will be chemical free and all natural. More importantly for tequila connoisseurs, Dos Lunas Anejo will be aged 50% longer than most Anejo tequilas. Its suggested retail price will be $54.99 and will be available in September 2007. Dos Lunas will stretch the boundaries of tequila in the eyes of the consumer when it introduces its Dos Lunas Grand Reserve – one of the first ‘Extra’ Anejo Tequilas ever produced. Available in November 2007, this limited edition spirit will be one of the first tequilas in this recently authorized category. According to the Mexican CRT, Extra Anejo must be aged at least three years. Dos Lunas Grand Reserve will have aged in French Oak casks for ten years and be the oldest tequila on the market. Bottled in Baccarat Crystal, Dos Lunas Grand Reserve will bring the taste and presentation of tequila to a whole new level. Dos Lunas is available through Republic National Distributing Company and through local distributors in markets across the country. For more information on Dos Lunas Tequila, go to www.doslunas.com .